Generally when we think of tea, we think of of green or black tea (or possibly even oolong or the rarer white tea) from the camellia sinensis plants that grow at higher elevations in places like China, India, and Japan. You may even think of herbal teas or tisanes, which don't have actual tea leaves in them, but other flavorful plants and herbs like peppermint or chamomile. Then there's rooibos or red tea, also not technically tea, as rooibos is a plant native to South Africa. 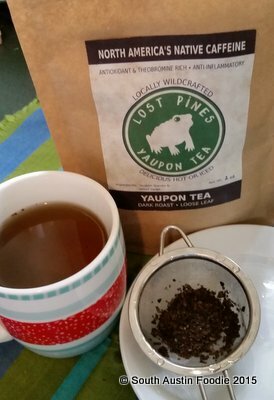 But just when I thought I was familiar with all the tea varietals, along comes the locally produced yaupon tea from Lost Pines. In Texas? Yaupon? 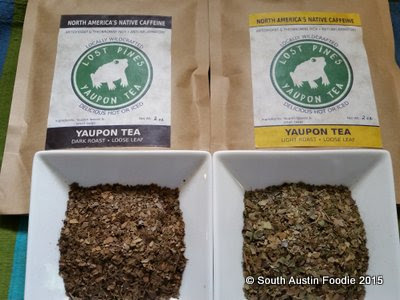 The folks at Lost Pines Yaupon Tea reached out to me and asked if I would like to try their tea. Intrigued, I said yes! This is a sponsored post, I have not been monetarily compensated, and all opinions are my own. Owner Jason Ellis gave me the skinny on yaupon. "Yaupon is the only plant native to the US with appreciable levels of caffeine. It's a relative of the other two South American caffeinated hollies, yerba mate and guayusa. It has a long history of being imbibed by the original inhabitants of this continent and they passed the knowledge down to the Europeans when they arrived. In addition to being caffeinated yaupon also contains theobromine, the "pleasure molecule" familiar to lovers of dark chocolate. It's also rich in antioxidants on levels comparable to superfoods like blueberries and green tea. It's also been studied for it's anti-inflammatory properties." 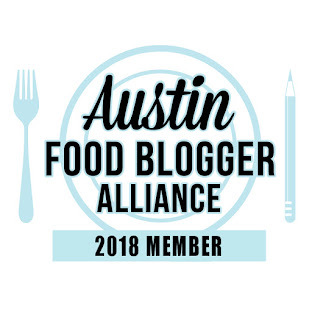 Furthermore, Jason says "We wild harvest all our yaupon from the Lost Pines forest of Bastrop, just 30 miles from Austin. We chop it, cure it and roast it all ourselves....I'm sure you've heard of the Bastrop Complex Fire from 2011 that burned down HUGE areas of the forest. Well, now the yaupon is growing back faster than the pine trees and putting this unique ecosystem at risk. Harvesting yaupon here actually helps the forest. Instead of buying tea from the other side of the planet from plantations that are chopping down ancient forests we could all be supporting the restoration of our own ancient local forests. Besides helping the pine trees, thinning yaupon helps the restoration of habitat for all sorts of critters, like the endangered Houston Toad." Which if you notice, the little toad is their logo. And I asked if this last round of fires at the end of October had an affect on them, and he said fortunately not. So how do they taste??! They're good! The dark is more like a black tea and the light like a green tea. The lighter roast is a bit more vegetal; it wasn't bad, but I prefer the nuttiness and deeper notes of the dark roast. I also appreciate the lack of tannins which can make a traditional black tea bitter. Yaupon is high in antioxidants and can help fight inflammation in the body. The tea you see in the picture was brewed for about three minutes. You can use a traditional tea infuser method, a French press, or even in a pod coffee system. It can also be brewed into ice tea, but now that the Central Texas weather has finally gotten cooler, I've been enjoying it hot. Check out their website for different brewing suggestions. 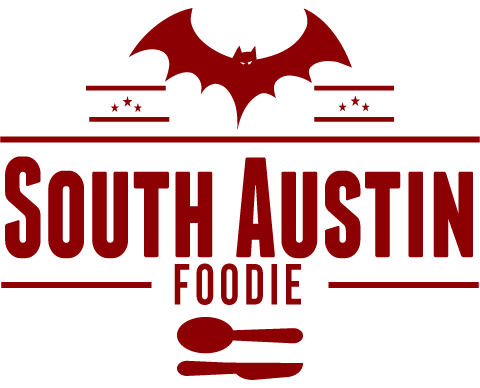 Prices start at $10.95 for 2 ounces, available online from Lost Pines. So if you're up for something different, want good antioxidants, are into supporting local business and helping our regional ecosystems, go pick up some Lost Pines Yaupon Tea! Thank you so much! If anyone has any questions, we love chatting about yaupon.